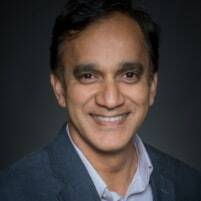 With over 20 years in the software industry in a variety of roles, and a decade running restaurants prior to that, Kumar possesses a unique skill set and approach to transformational coaching that’s evolved and continues to evolve today. He strongly believes that guiding leaders on a path to a coaching mindset is key to unlocking the potential of the individual, the team, and ultimately the organization. Being a former Restaurateur set the stage for a long journey as a leader and a coach. Working in restaurants equipped Kumar with the skills and the pragmatism to adapt quickly to changing environments. Most recently, Kumar has been working to bring the John Maxwell method of training, coaching and speaking to help in his Agile Practice.